I’m always on the lookout for good Pinot Noirs. Recently, most of my time (and money) has been spent exploring the Pinots from Oregon. A local wine store had this wine on the shelf at a great price and that was more than enough reason for me to grab a couple bottles. Van Duzer Vineyards was built on a dream to find a cool weather site in Oregon for the fussy Pinot Noir grape that would rival the best wines of Burgundy in balance and finesse. In 1998, Van Duzer Vineyards owners Carl and Marilynn Thoma located a hilltop winery with existing vineyards immediately west of the Eola Hills. The estate site occupies a strategic site in the foothills of the Van Duzer Corridor, the conduit through the Coastal Mountains for maritime breezes that enter the Willamette Valley at the close of summer evenings. Located on a scenic hilltop amidst 82 acres of vines, the family estate winery practices sustainable farming and has been endorsed by internationally recognized LIVE (Low Impact Viticulture and Enology) and Salmon Safe. 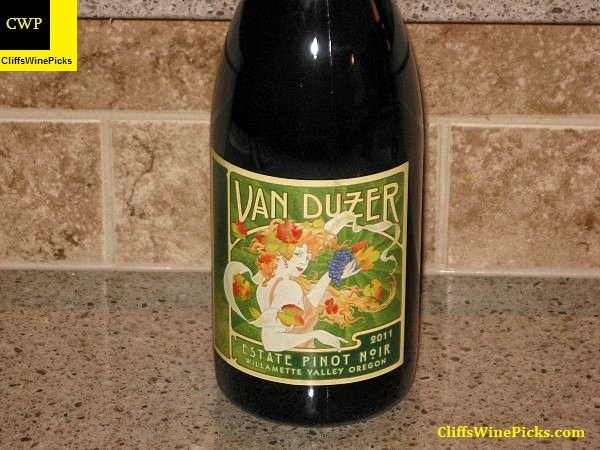 Pinot Noir is Van Duzer’s signature wine. A variety of Pinot Noir clonal varieties and microclimates allows Van Duzer Vineyards to produce a multi-dimensional estate Pinot Noir and a handful of limited-production Block Designates of singular personality. Pinot Gris is Oregon’s other wine of note, a white wine that Van Duzer Vineyards makes in a crisp, dry style particularly well suited to a white wine. Much more information about the winery and their wines is available on their site by clicking here. This wine is produced 100% Van Duzer Estate vineyard grapes. The clonal breakdown of the grapes are: 22% Pommard, 20% Dijon 777, 19% Wädenswil, 12% Dijon 115, 9% Dijon 828, 9% Dijon 667, 8% Dijon 113 and 1% Dijon 114. The coastal breezes that pass through the vineyards every afternoon greatly influence the grapes the winery uses. In cool years, the breezes warm up the vineyard so it is warmer than most in the Willamette Valley. In hotter years, the breezes cool down the vineyards so they are cooler than most in the valley. 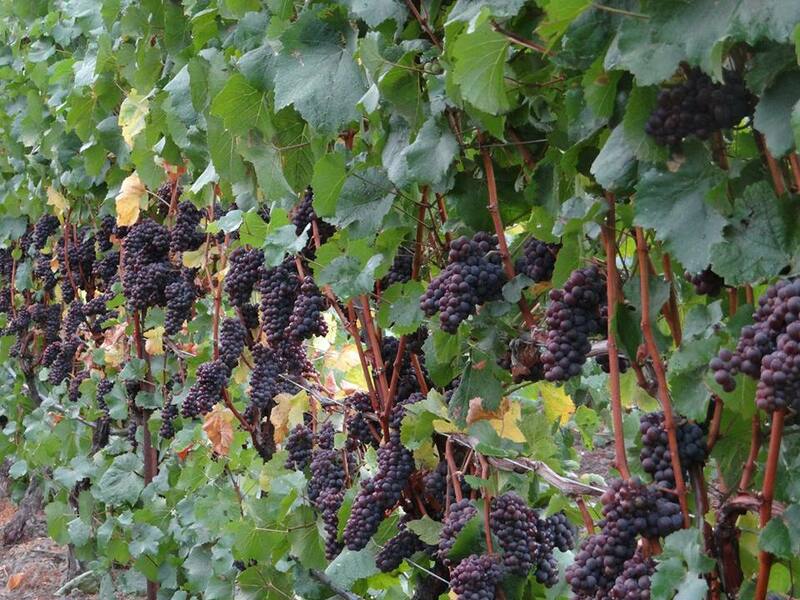 In this vintage, a cool growing season, the grapes benefited from extended “hang time”. The grapes were harvested from October 22 through November 1, just prior to the start of the fall rains. This wine has 13.5% alcohol by volume and the bottle is sealed with a natural cork. There was a total of 5,686 cases produced.